Angela Merkel is attempting a coup d'état in Greece, demanding the surrender of €50bn of assets from the Greek government, the installation of bureaucrats from the troika who would have to be consulted on all relevant draft bills put before the Greek parliament and the repeal of all legislation since the election that hasn't been agreed by the troika. Alexis Tsipras caved in last week, agreeing to all the demands of the German-led troika despite the Greek people rejecting them in a referendum, sparking protests in Athens. But this isn't enough any more, Alexis Tsipras has shown that the EU - and more importantly, Germany - can be defied and the punishment for that is to overthrow him and install a puppet government. 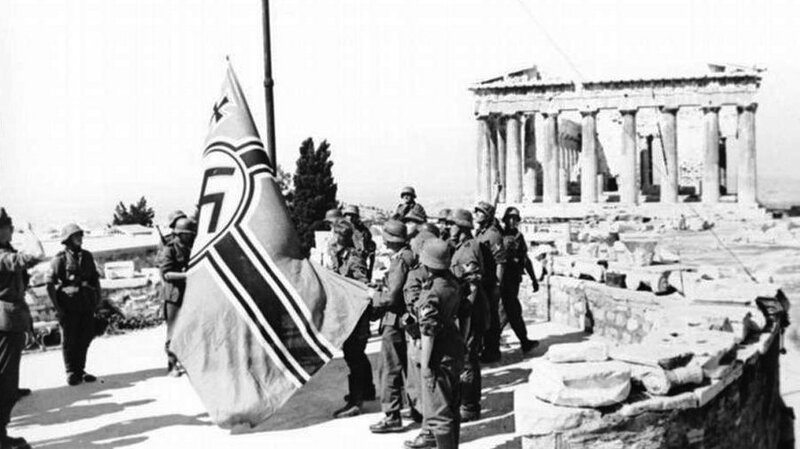 The Germans have already executed one coup détat in Greece in 2012 when former prime minister George Papandreou was ousted for offering a referendum on bailout austerity measures and the former governor of the EU Central Bank, Lucas Papademos, was appointed in his place. They also engineered a coup in Italy, installing former EU Commissioner Mario Monti as prime minister and an entire cabinet of unelected technocrats to oversee the implementation of EU austerity measures and of course the coup in Ukraine earlier this year where the EU sponsored the anti-government protesters who overthrew the government and precipitated a chain of events that has seen Russia annex Crimea and fascist militia working for the government in eastern Ukraine. There will be no deal with Greece until Alexis Tsipras has been overthrown, Syriza removed from government and Greece is run by a German puppet.